The news couldn’t be any more tragic without someone dying. The UCLA Bruins were devastated today by the news that All-American Superstar Linebacker/Running Back Myles Jack has gone down with a knee injury, and will not return this year. Jack is already NFL-ready, so he may never put on a Bruin uniform again. Sure the Bruins had depth this season, but losing Eddie Vanderdoes, Fabian Moreau, and Myles Jack would have knocked ANY team out of the Playoff picture. It is simply impossible to replace that kind of immense talent. The Wildcats should no longer be a 4-point underdog at home against the Walking Wounded from Westwood. Ironic that Arizona is welcoming the return of Scooby Wright this Saturday — Wright is the only Linebacker West of the Mississippi that compares with Jack. Just when the Bruins looked like true National Title contenders… With SC looking lousy last week in their loss to Stanford, and Alabama getting spanked, and Ohio State looking mortal against an unranked team… and now THIS. There are no words to describe this feeling of despair. The 7 stages of grief will now afflict many Bruin fans who were starting to think that this year could be magical. 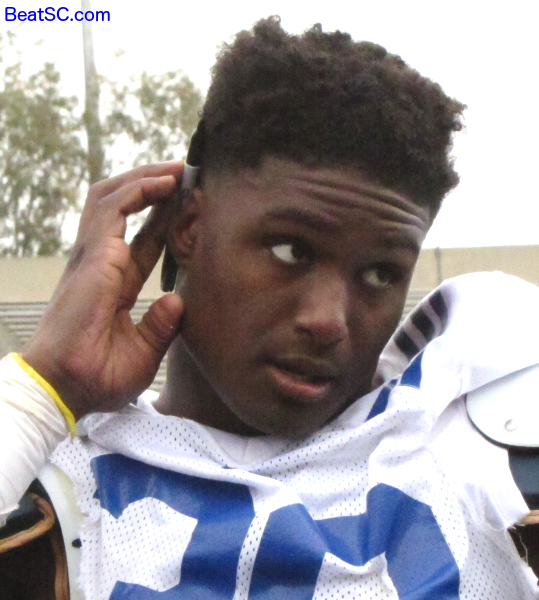 "MYLES OF SCARS" was published on September 23rd, 2015 and is listed in Blue & Gold News, UCLA/usc/Sports Photos. We may have gone from favorites to underdogs, but that doesn’t mean we’ve gone from winners to losers. This is meant to inspire you, Bruin fans. The team with the best record in MLB at 97-56 has had the following injuries this year. 1. Best starting pitcher pitched in only 4 games. 2. Starting pitcher with lowest ERA missed almost all of the first half of the season. 3..8th inning set-up pitcher pitched only 10 innings. 4. Another key reliever missed more than half of the season. 5. Starting first baseman missed 2/3 of the season. 6. Starting left fielder and 3rd place hitter missed more than half of season. 7. Starting center fielder missed more than half of the season. 8. Another key outfielder missed one month. Others have picked up the slack, including several rookies.